If you are in Lima, Peru, right now: STOP READING! I mean it. 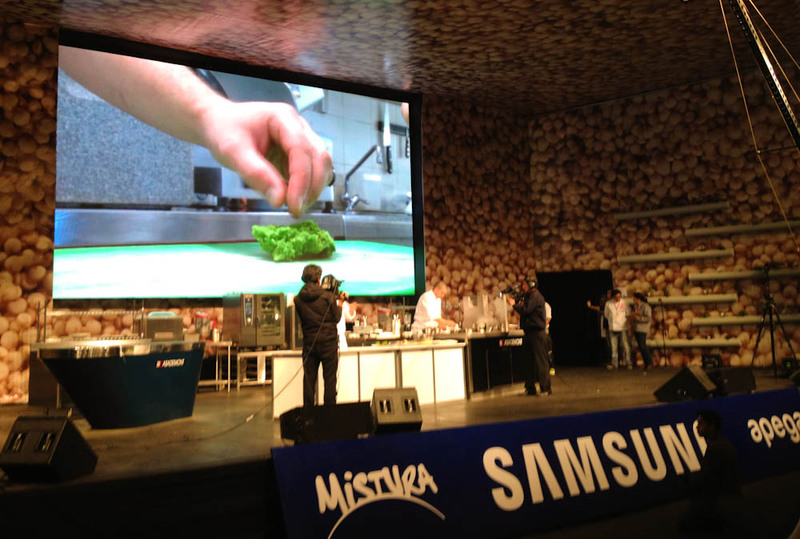 Leave your computer and head out to Mistura Food Festival which started yesterday 6th of September and will last until the 15th. It’s a shame they close at night, otherwise, I would even recommend you to pack your bags and camp in the grounds of what is the biggest (and yummiest!) 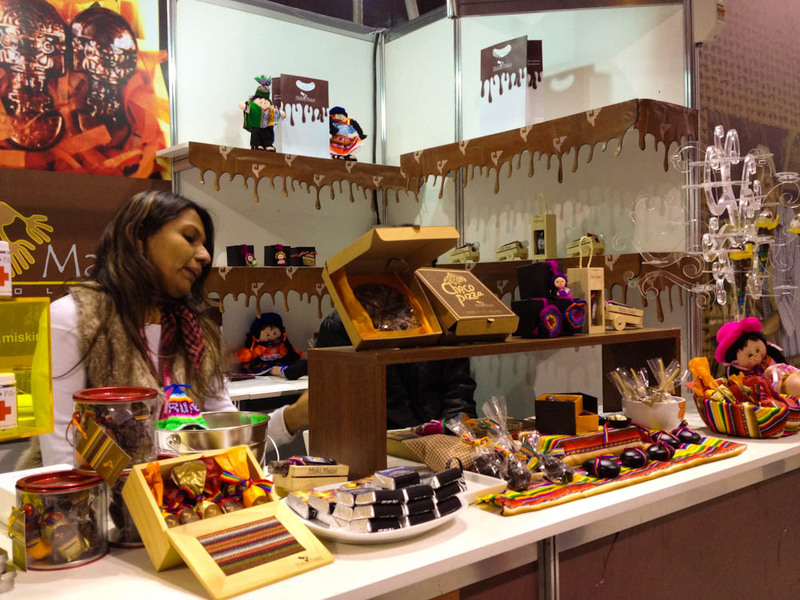 food festival in Latin America. 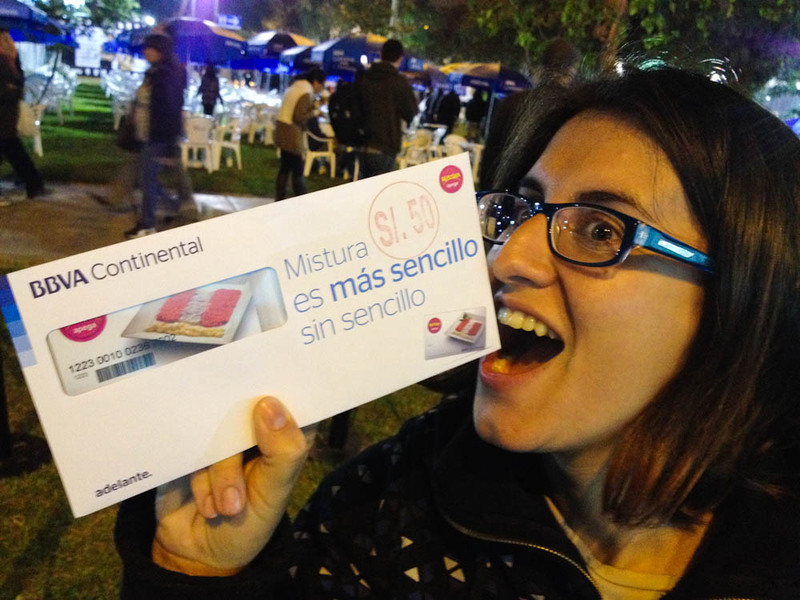 Last year, by the power of coincidence and airline unreliability (read all about that day here), we managed to make it to Mistura, and am I glad we did! 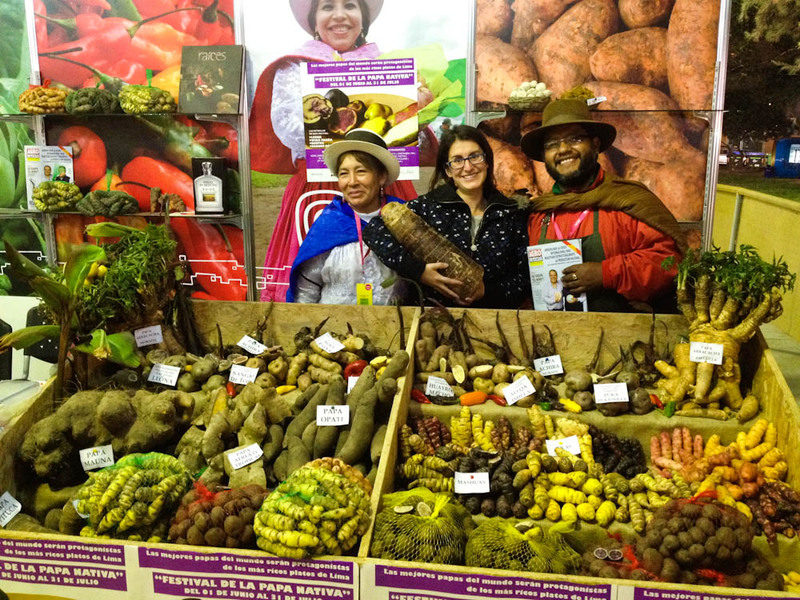 This festival’s goal is to celebrate the richness of Peruvian cuisine, and I can assure you there is plenty to celebrate, within Mistura or just going around the country in general. 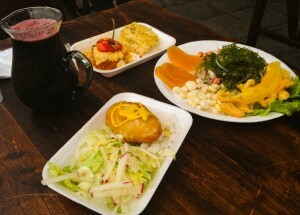 Peru’s culinary traditions are rooted in places as distinct as the Andes, the Amazon or the Coast, and breathe in influences from immigrants that came to this country and started mixing their traditional foods with the local cuisine and, particularly, adapted the recipes from their original regions with the local existing ingredients. 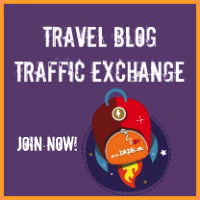 From the coast… to the Andes… to the Amazon! 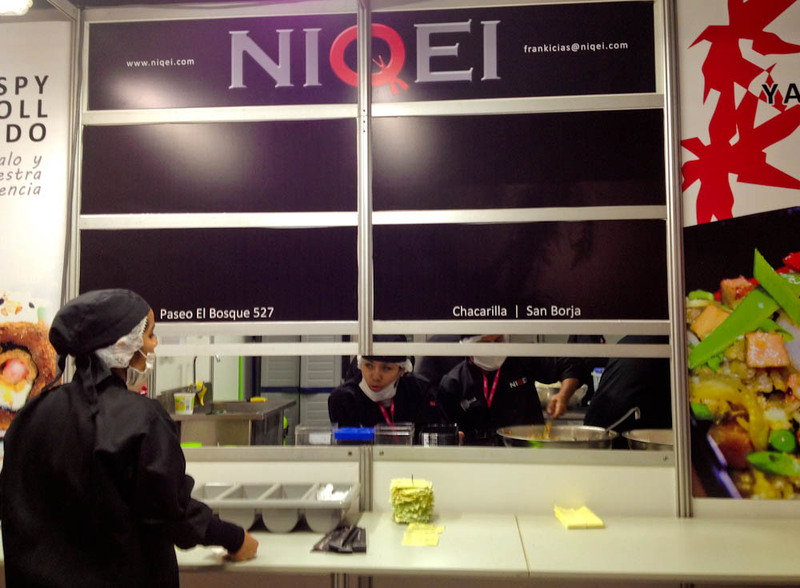 Years of fusion lead to the perfection of the beloved Nikkei cuisine, which blends Japanese food with Peruvian techniques and ingredients. 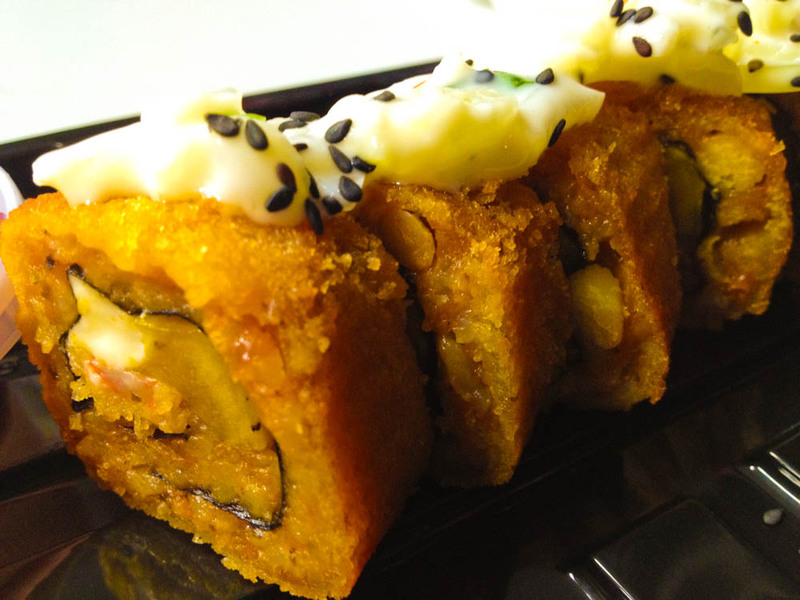 Things such as sushi rolls with fried banana inside… why not?! Both Peruvians and Japanese love their raw fish (sushi/sashimi vs ceviche), so with that principle in mind, a long lasting foodie story began. 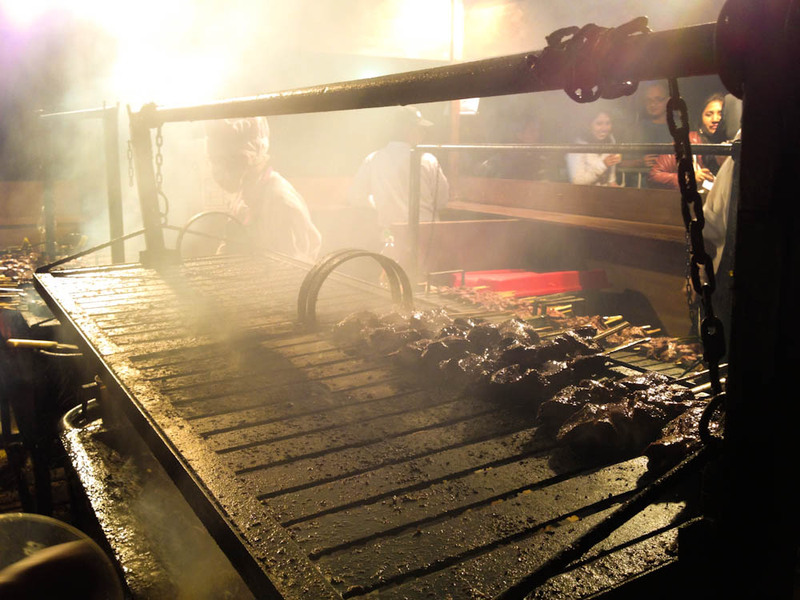 Coast and fishy stories aside, Mistura hasn’t forgotten the meat side of of things either. We’re still near the Andes and roasted meats are synonym with sustain up in the cold mountains: roasted alpaca, anticuchos (BBQ skewers – most popular ones with beef hearts), guinea pig and all sorts of more common animals (at least in the international panorama) are marinated and charcoaled for the delight of locals and visitors from abroad that get their kicks trying new “exotic” things. Amazonian cuisine is also present in Mistura food festival: the rainforest covers 60% of the country and, being home to so many species of plants and animals, you know there has to be something about it when it comes to food traditions too. We didn’t try any Amazonian treats at Mistura, as we had just come from the Amazon itself (literally, the night before), but the most popular dishes from the region would include grilled piranha, patarashca (full fish cooked inside banana leaves) and other fishes such as the big fresh water paiche. Other exotic species from the Amazon were once considered delights around the country too, but local laws now restrict the hunting of animals such as the caiman – these restrictions obviously do not apply to tribes in the middle of the rainforest, with little to no control, but truth is that our guide in the Amazon (not from a tribe as such, but from a village) mentioned that the locals are quite conscious when it comes to these laws and guidelines, as they understand the environmental impact that can derive from eating a certain species until it’s practically extinct. 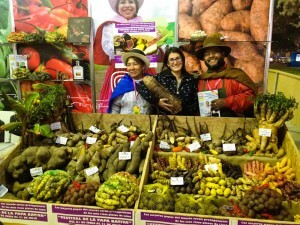 Apart from stalls belonging to restaurants showcasing the different cuisines around the country, Mistura does a great job promoting local products and producers: we’re talking 1000 varieties of potatoes, local coffee, cocoa beans, grains, nuts or anything else that the fertile land of Peru along with the hard work of local farmers bring us. Yep! That's me holding a MASSIVE potato! 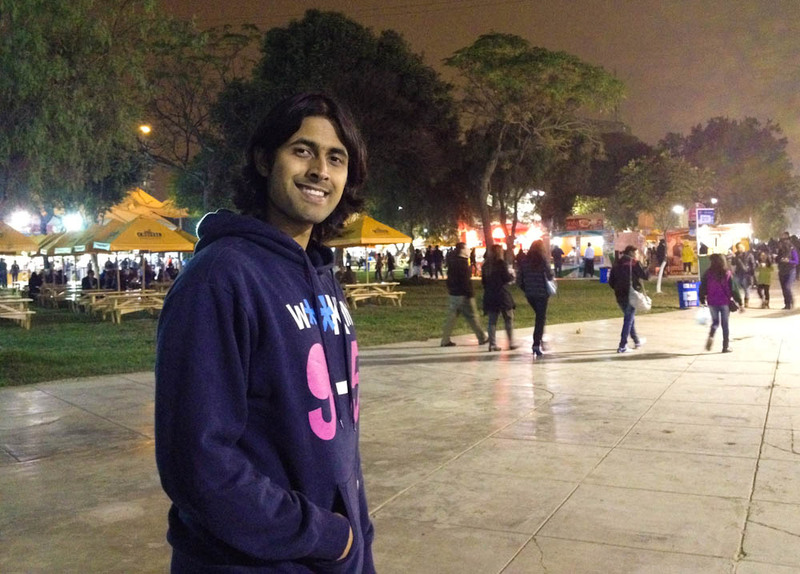 Peru has more than 1000 types!.. Peru IS the Land of Potatoes. And truth is that they do taste better than anywhere else we've ever been to! 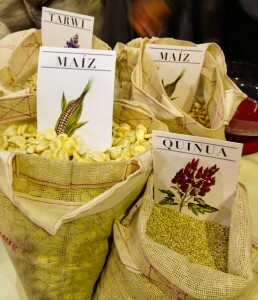 Quinoa (a super food and local staple) and other grains. 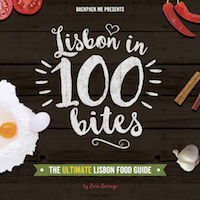 There’s also workshops, talks and debates where you can learn recipes, facts about the local cuisine and where professionals discuss the food industry, from a creation/art and promotional point of view. 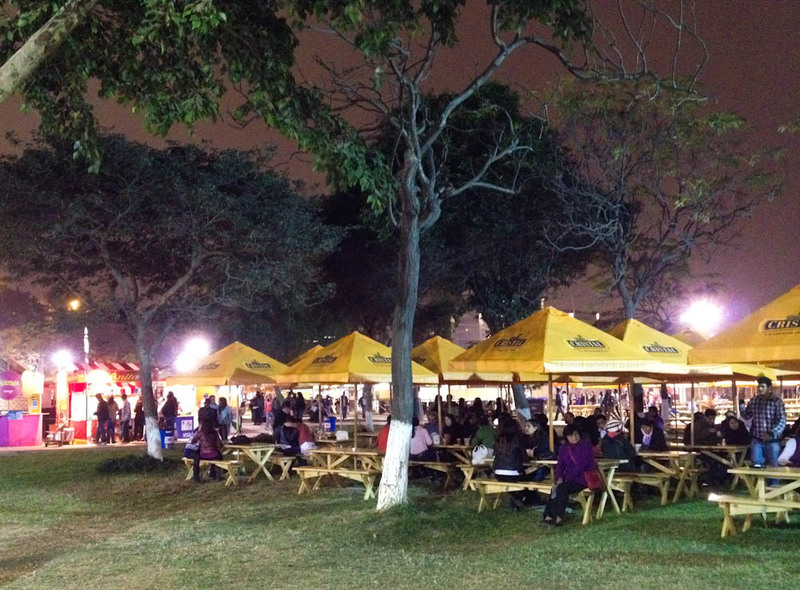 And, of course, drinks are not forgotten in this festival.. we’re still in a Latin country after all! 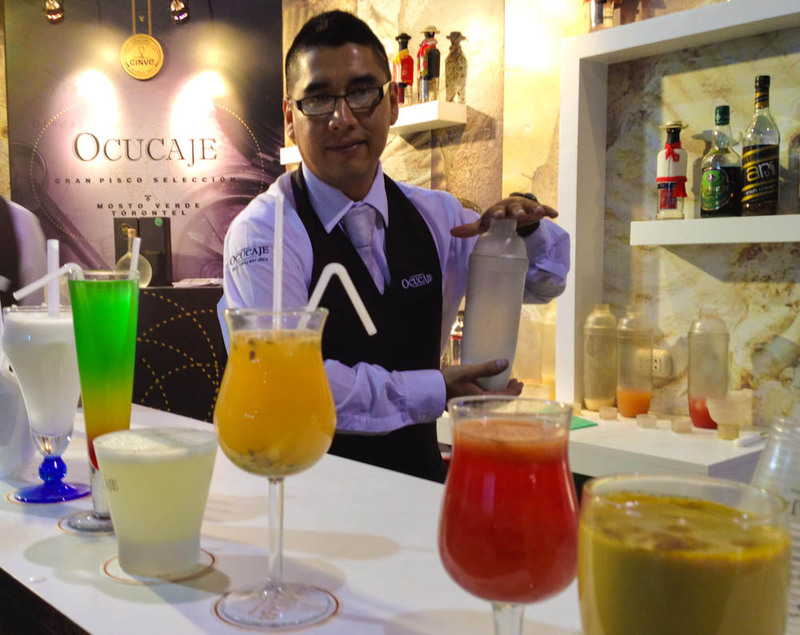 Peruvians and Chileans have engaged in the eternal debate of who really created pisco, the liquor of choice in both countries and that is like a sort of grape brandy. Peruvians claim that it is obviously their thing, but in Chile they even renamed a town that is known for its production of this alcohol, to reassure people pisco is their creation. Now, both countries have a town names Pisco! Debates aside, pisco is strong and it hits you hard. 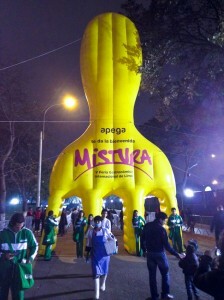 Visiting Peru you’ll probably have a pisco sour (pisco + lemon juice) sooner or later, because it’s everywhere! 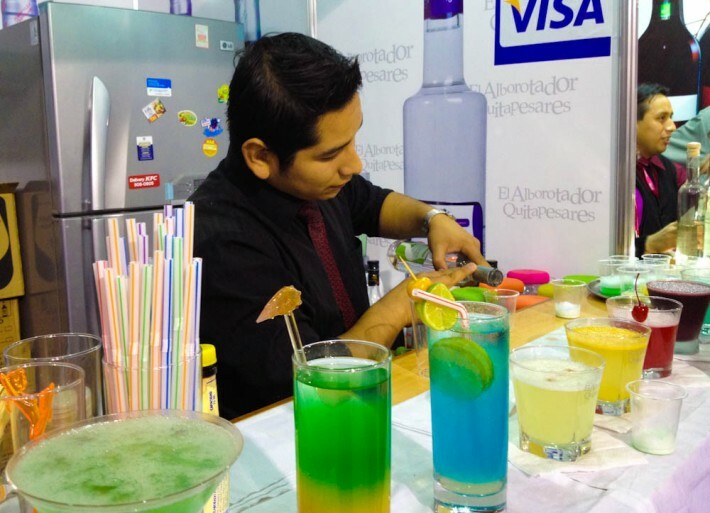 But if you’re into fancy cocktails instead, then let the bartenders at Mistura guide on you the latest trends that are turning this popular liquor into something fashionable! 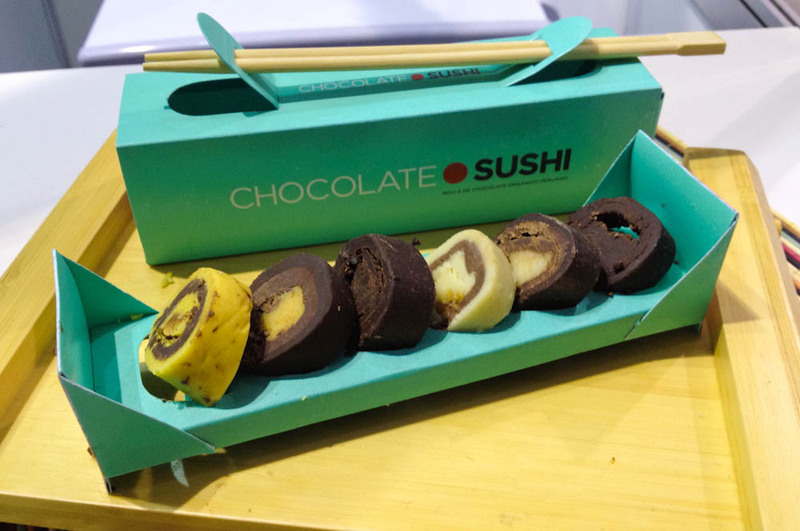 Something fancy to go along with your pisco cocktails: chocolate sushi! Peru is, hands down, one of the best countries I’ve ever been to food-wise. As I said: if you’re in Lima right now and still in front of the computer screen, you are definitely missing out. Big time! Tickets cost 15 Soles (USD5.35) on weekdays and 25 Soles (USD8.91) on weekends. Keep in mind that the ticket prices only cover the cost of entry. Portions of food at the various stalls are priced at around S/.7 for a half portion and S/.13 for a full portion. In the Land of Potatoes! What a food heaven! It looks like there is so much choice for vegetarian like me. I’m hungry now! There were some veggie options at Mistura indeed.. but I’ve gotta say that, in general, Peru is not an easy country for vegetarians to eat around.